A great personalised keepsake notebook especially for Dads. 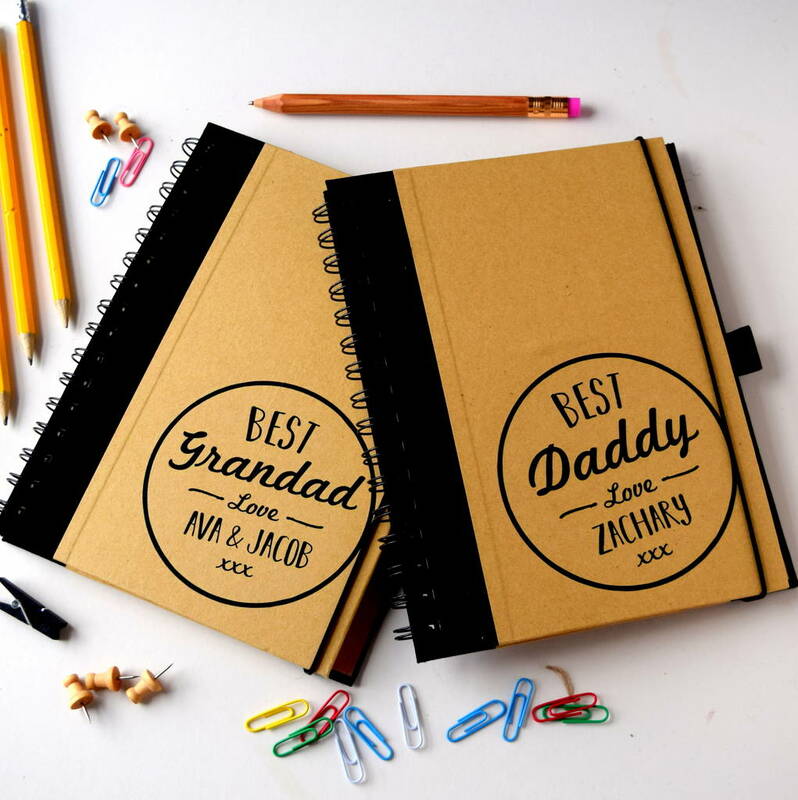 Organisation is the key to being a great Dad, so we've designed this bold printed A5 size personalised notebook to make sure he loves making lists of days out with the kids! 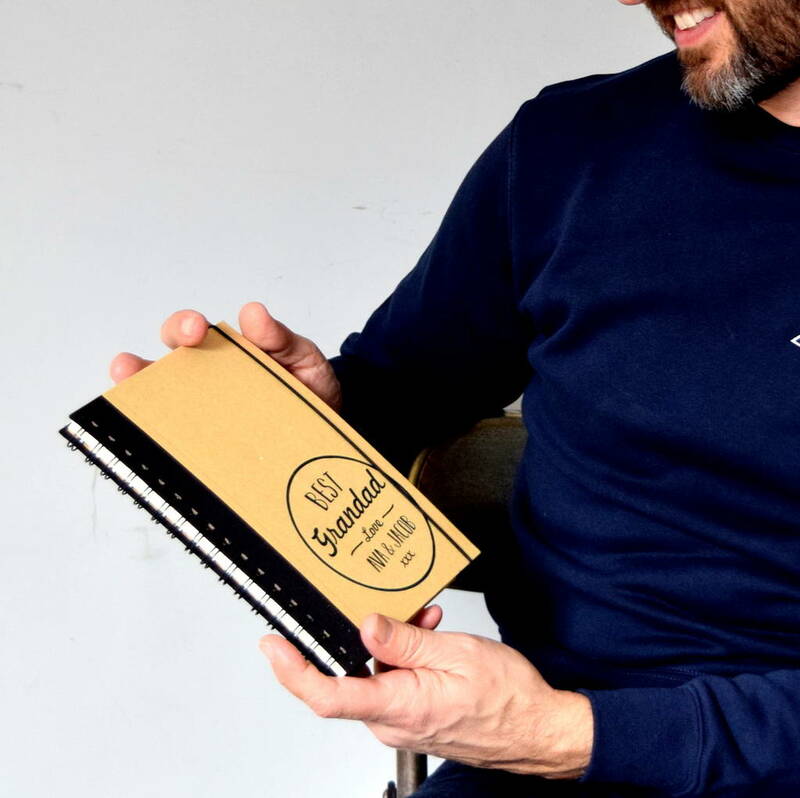 A chunky, hard backed, spiral bound notebook with a brown craft paper finish cover and white lined paper inside. Best Dad, Best Mum, Best Mummy, Best Step Dad, Best Brother, Best Sister, Best Uncle, Best Auntie, Best Grandad . . . you choose!